To add a Packet cloud, you'll need the API key. 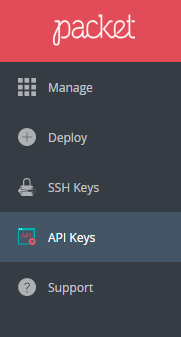 In order to obtain it, login to your Packet account and select API Keys on the left menu. Click on the blue plus sign at the bottom right. Type in a name for your API key and click on generate. 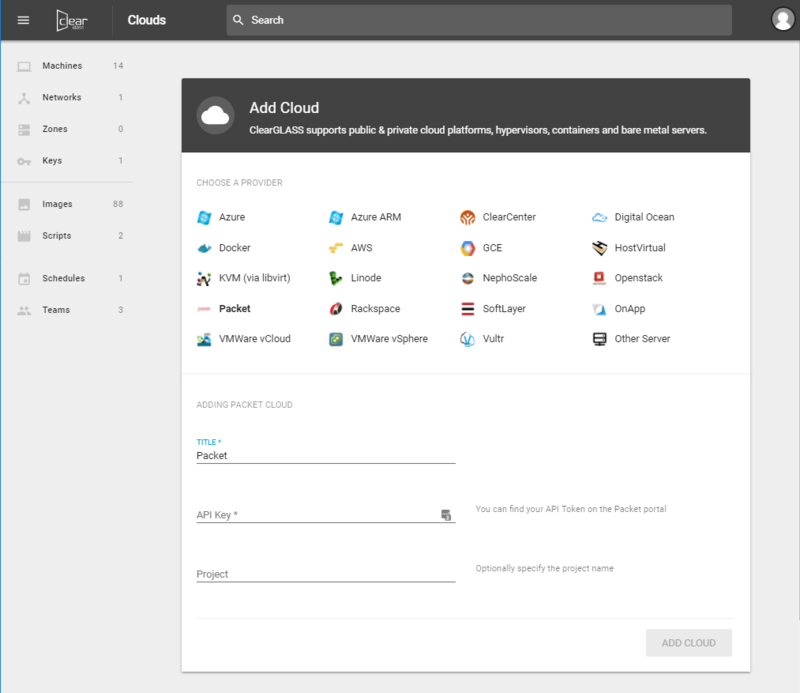 Now copy your key and log in to ClearGLASS and click on Add Cloud. Choose Packet from the grid list and paste the API key. That's it. After a few seconds, you should see the Packet cloud on top along with the rest of your clouds.